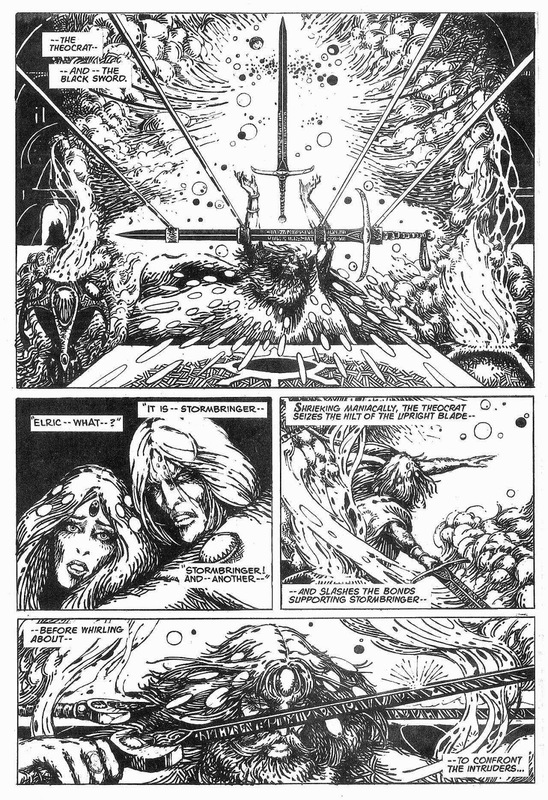 Star*Reach #6 was, as I've bored about before, a seminal comic book, in my collection anyway. 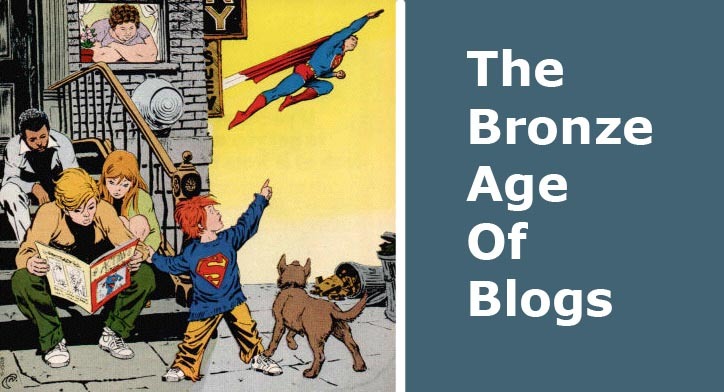 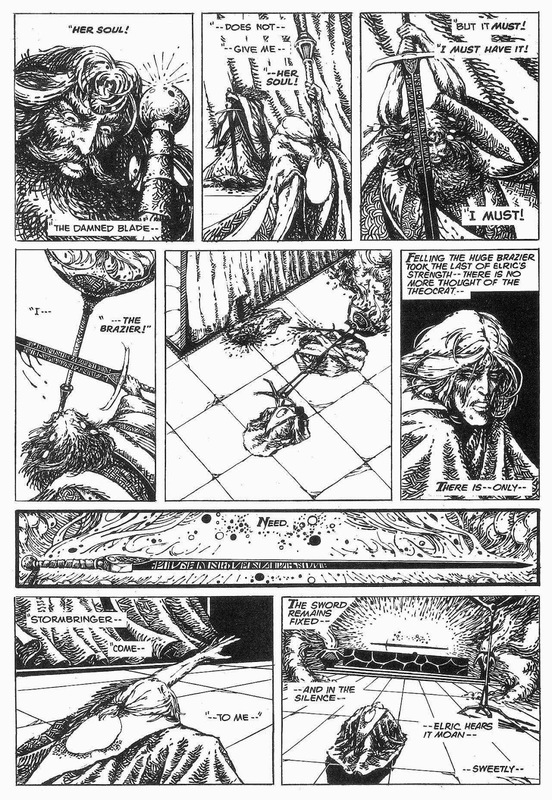 It was the first properly independent, adult book I ever saw, and it completely blew my mind. 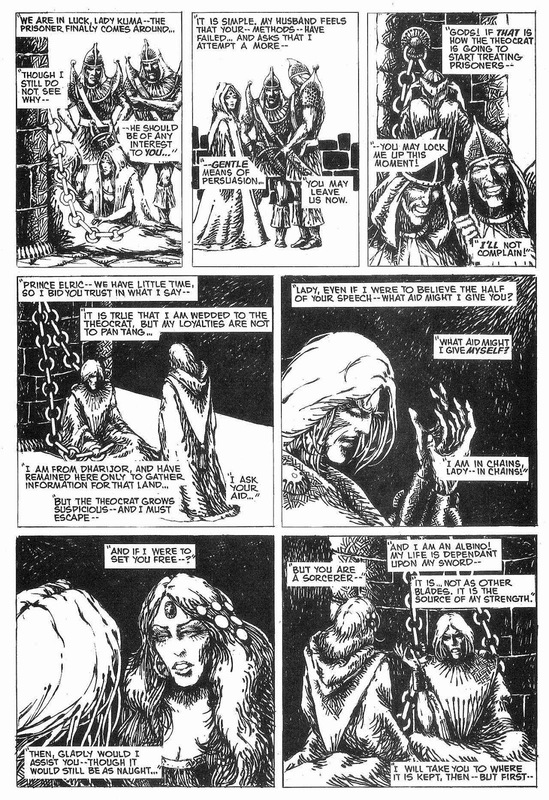 Here's one of the reasons why: An original Elric story from Eric Kimball & Bob Gould, working as' Two Man Horse '. 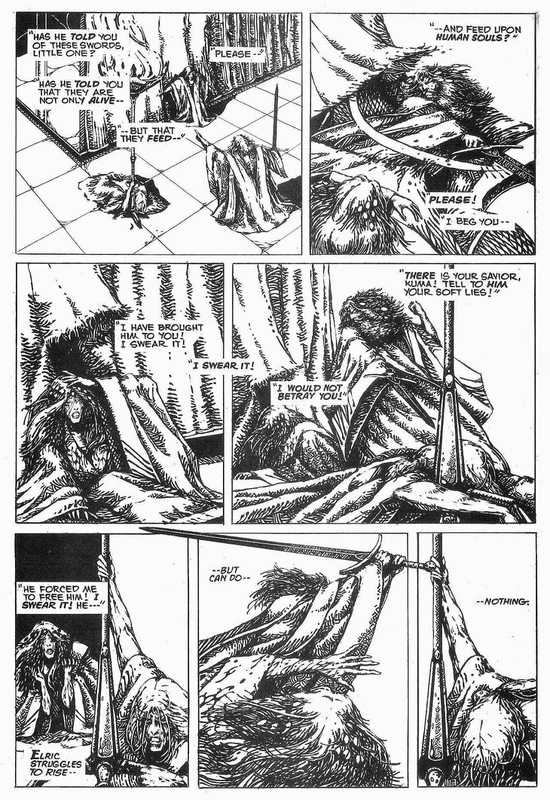 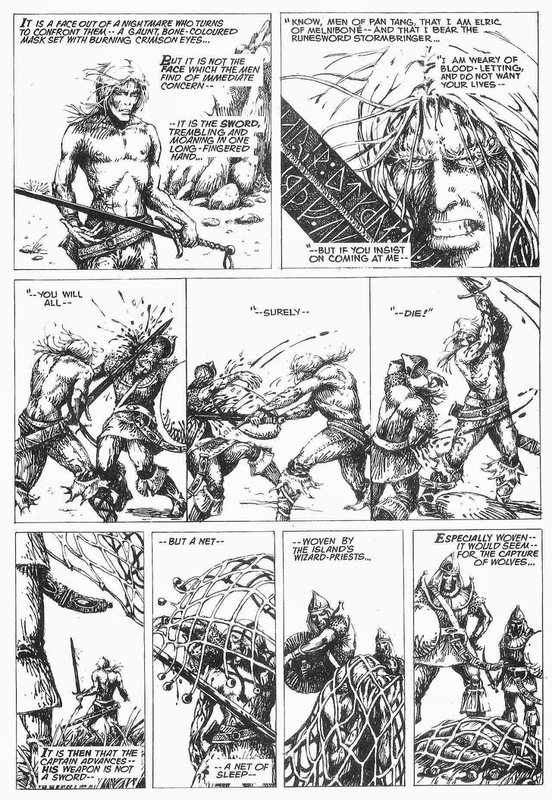 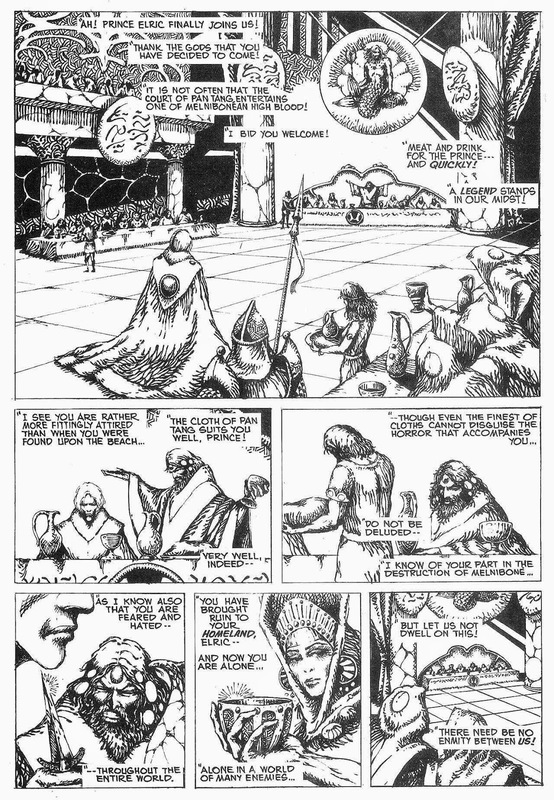 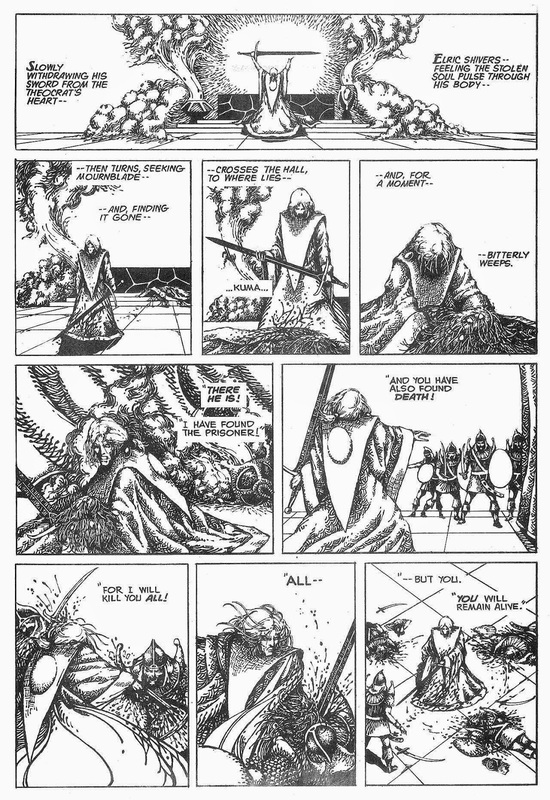 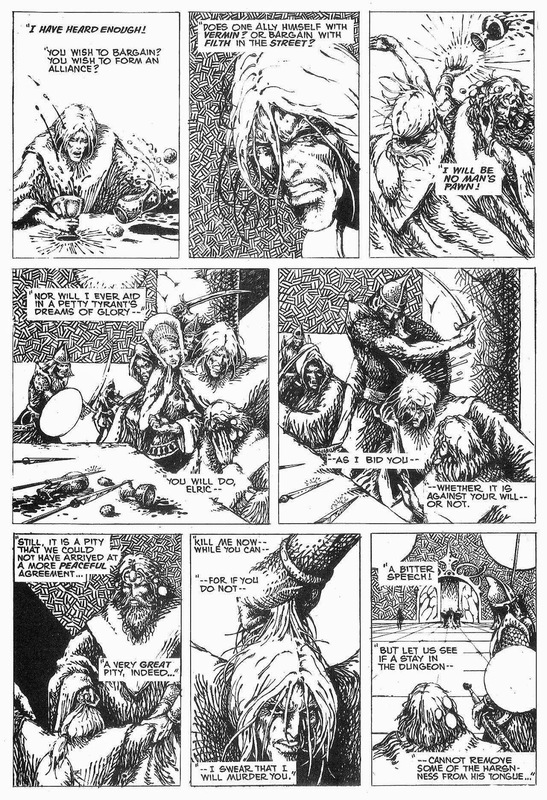 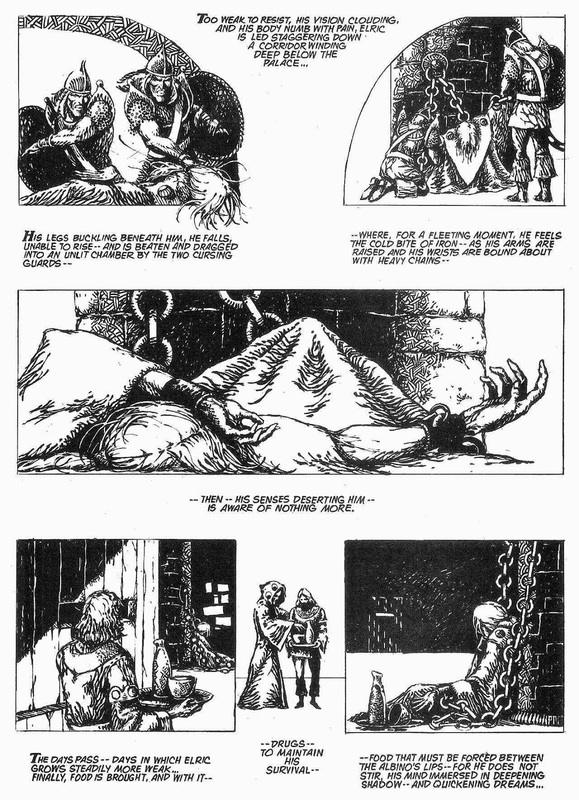 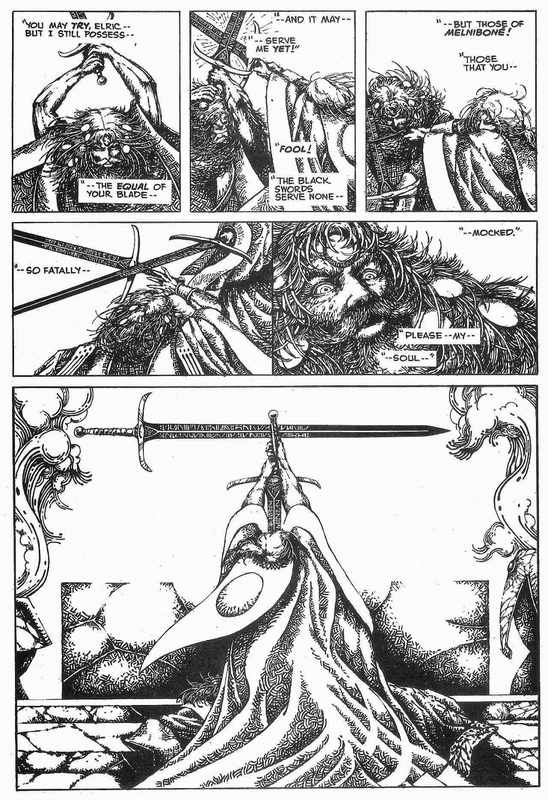 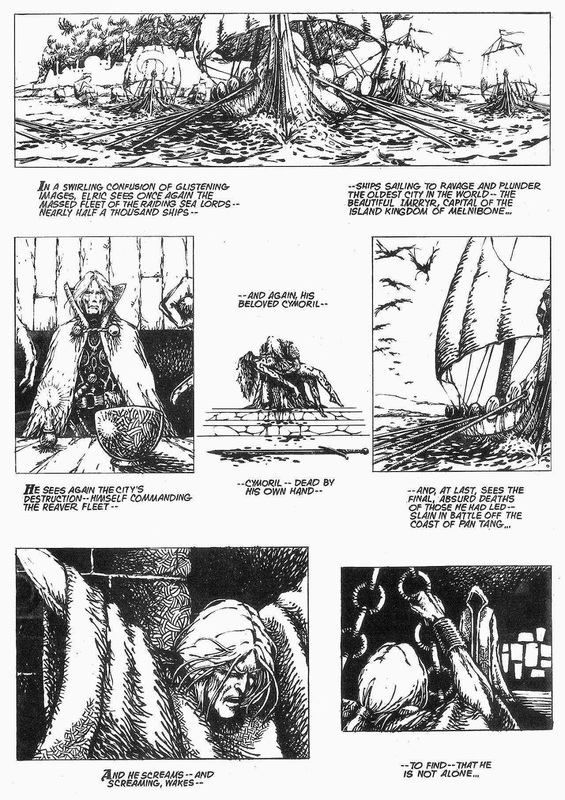 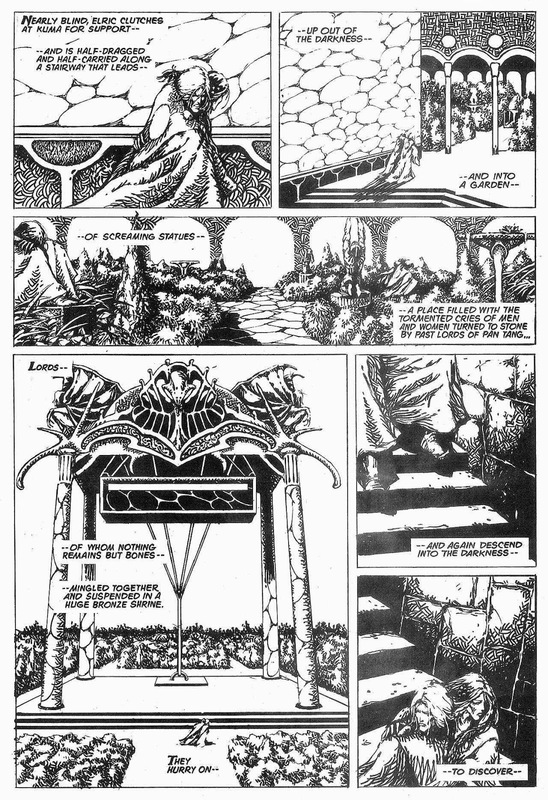 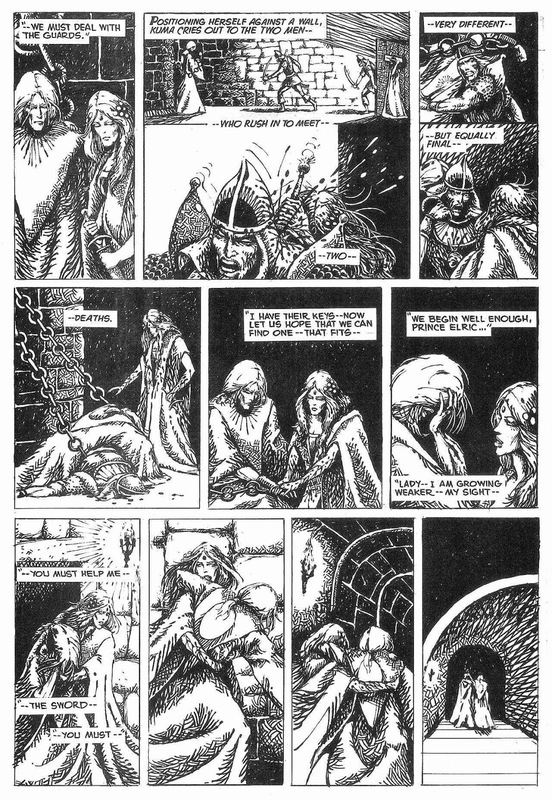 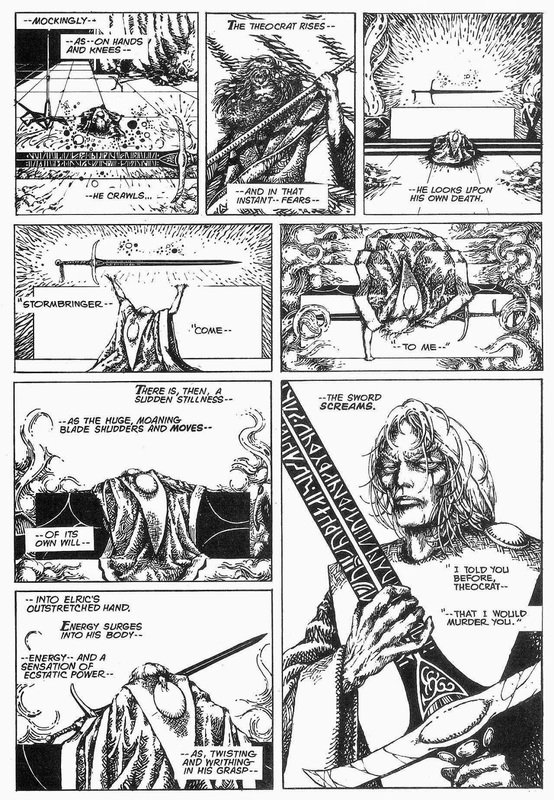 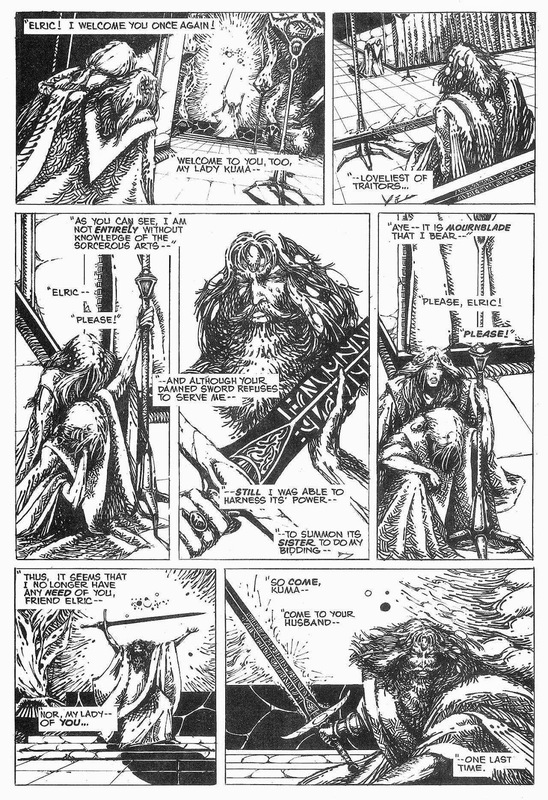 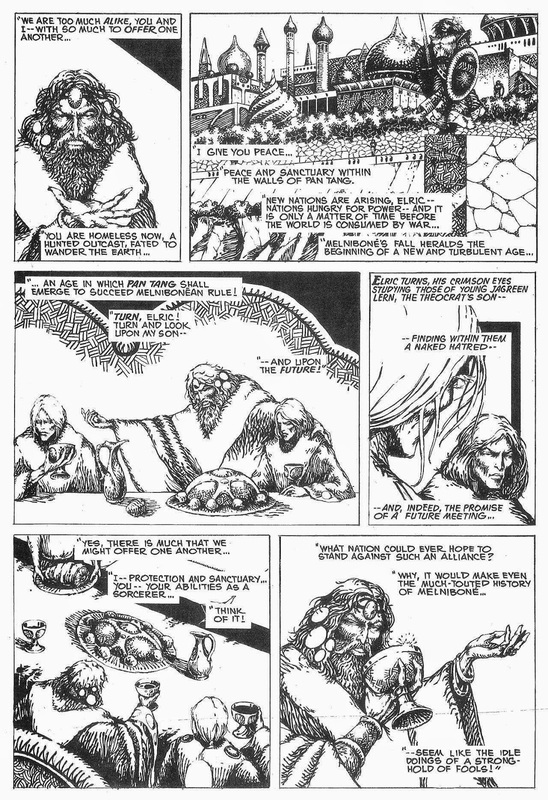 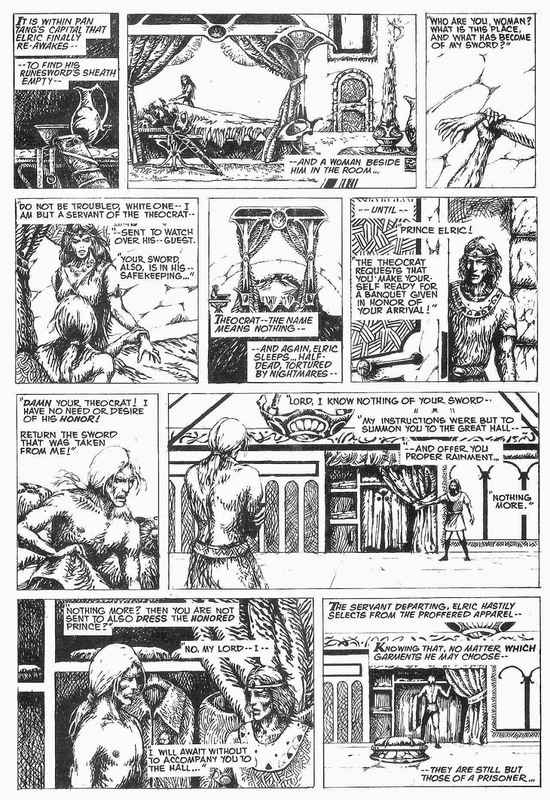 The pair had sent this completed strip, unsolicited, to editor / publisher Mike Freidrich, and he liked it so much he immediately scrabbled around to contact Elric creator Micheal Moorcock to use it. 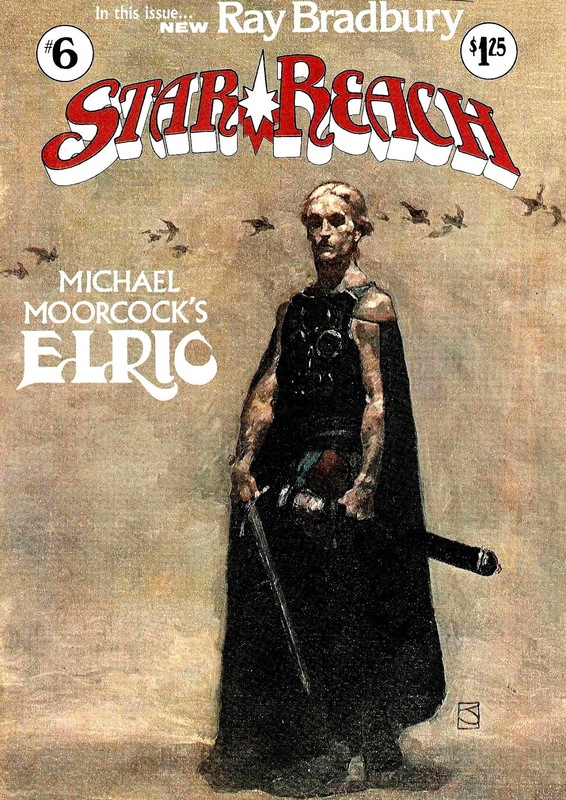 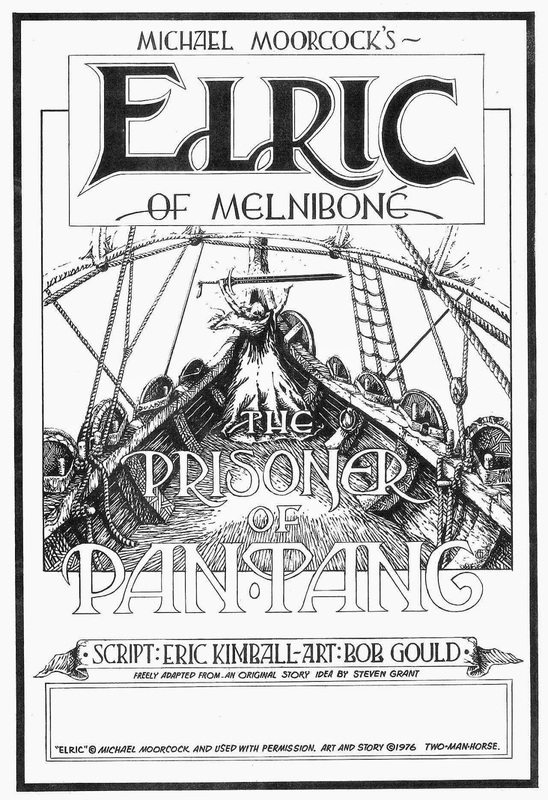 All of which led to Gould almost making a career out of doing Elric book covers. 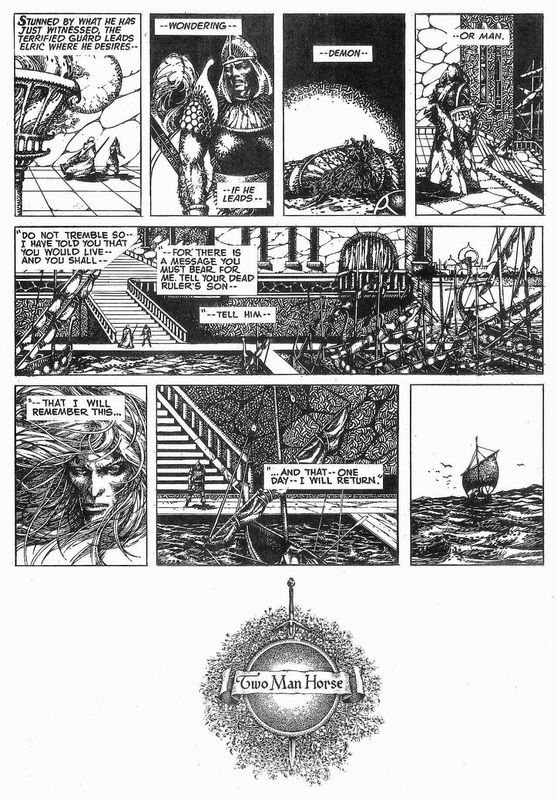 There's the obvious Barry Smith influence here, but the art has a definite style all it's own. 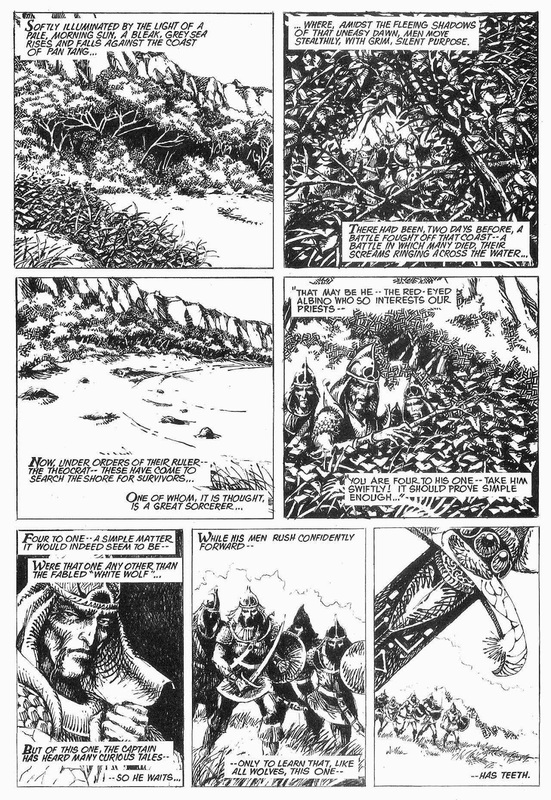 I just really like the textures of the linework, where everything sort of seems to be made of sticks and twigs, and you are very definitely in another world.